to serve until the 2019 General Conference. Rev. Brown is a visionary leader with an abiding passion for the ministry of MCC around the world. 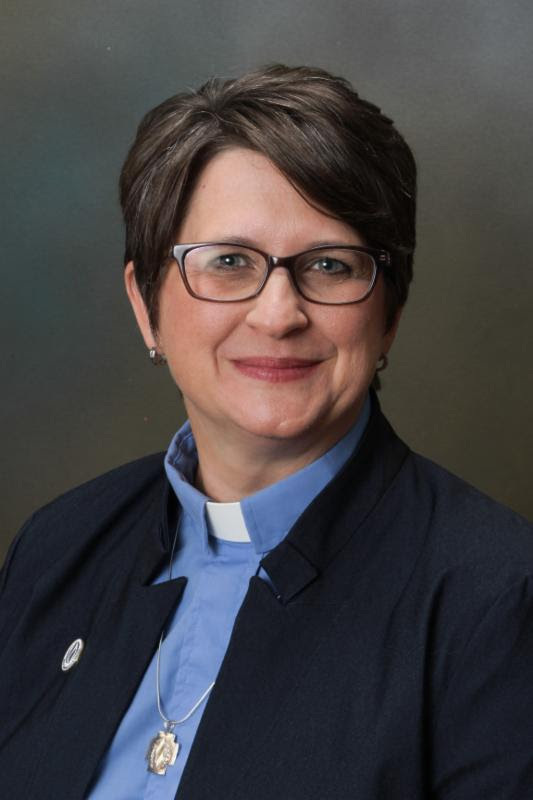 She is a gifted communicator and bridge-builder and has a deep respect for the gifts that our laity, clergy, congregations, and leadership bring to our denomination and movement. Rev. Brown’s recent engagement in MCC’s Emerging Ministries provides a perfect background for us as as we re-imagine our presence in a world that needs the essential ministry of MCC. We are grateful to all of you who prayed with us, offered suggestions, and asked questions during this ten-week journey of discernment and decision-making. As we continue in this transitional journey for our denomination and movement, we welcome your full engagement, questions, prayers, and support. While we understand that, for some, this choice may come as a surprise, we began this process certain that the Holy Spirit would inspire our work together, and it happened. The Spirit led us as we prayerfully set forth to follow the best practices demanded by such a critical responsibility. As you have supported us during this process, we look forward to your support of Rev. Brown as, together, we begin this exciting and critical stage in our MCC journey. Our commitment was to conduct an open application process, so anyone who felt called and equipped could apply. This openness resulted in an extraordinary pool of candidates. We interviewed five candidates by phone and conducted second-round interviews by video conference with all governors participating in the interviews. We then prayerfully reflected and submitted our ratings on the candidates’ responses to individual questions along with an overall rating of their presentations. We completed the interviews on September 24 and entered a period of discernment as we sought to reach consensus on whom to appoint. We intentionally allowed ourselves this extra time to let us think, reflect, pray, and hear God’s voice in the process. We thank all who applied for their time and patience with us as we worked to achieve a result that would help all of us move MCC forward. We want to acknowledge that we found it challenging to reach consensus. We were passionate in our agreements and disagreements about what skills should be our priority. We wrestled with which applicant’s vision and approach to our current situation was most appealing and promising. We reached consensus through open and honest discussions about our observations and prayerful reflections, and through respect of each other’s wisdom and gifts. We know that this is common in committee-led recruitment processes, yet it is not often acknowledged. We share this information trusting that it will help you to understand how we reached consensus. If you have further questions, please contact us directly at [email protected]. We all believe that Metropolitan Community Churches is entering an exciting time of possibility that will require changes, which may look and feel different. These moments are both awesome and scary. Thank you for your constant prayers and support for Reverend Elder Rachelle Brown in her acceptance of this holy calling and for us all as we transform the world by transforming ourselves. Rev. Brown was ordained with MCC in 2007, and holds a Master of Divinity degree from Eden Theological Seminary, St. Louis, Missouri, and Master of Communications degree from Missouri State University. Rev. Brown is a currently pursuing a Ph.D. in Theology, Ethics, and Human Sciences at Chicago Theological Seminary. She has served as an Intentional Interim Minister, North Central U.S. MCC Network Leader, and MCC Emerging Church Specialist. As a theologian and educator, Rev. Brown said she explores queer ethics, human sciences, and intersectional theology with a deep connection to modern religious thought and practices. Rev. 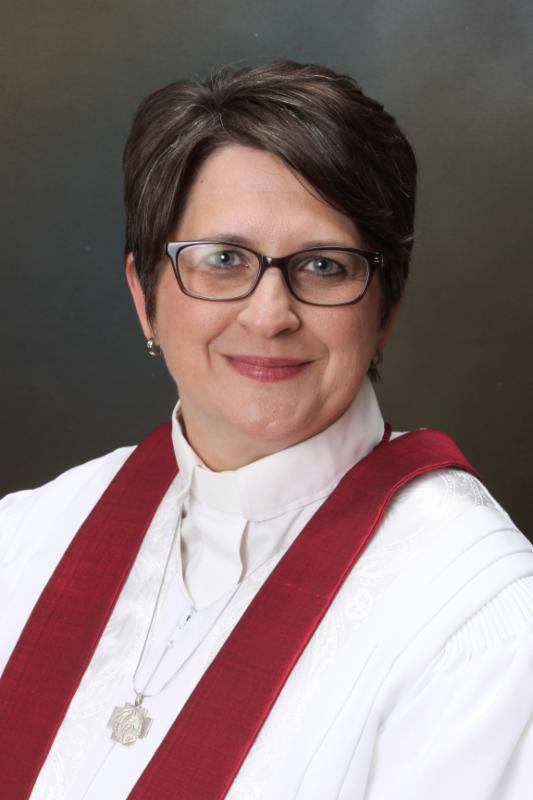 Brown said her passion for ministry began in the bayou country of Southern Louisiana and developed through various faith experiences reflecting the diversity of MCC. “I am very humbled to accept the position of Interim Moderator for Metropolitan Community Churches. This is a monumental moment in our history as both movement and church. The Blessing ceremony for Rev. Brown as MCC’s Interim Moderator will be 16 October at 1:00 p.m. EDT at MCC of Washington, D.C. All are invited to attend. Rev. Brown will formally take office 13 October 2016. Keep Rev. Brown, the Governing Board, Senior Leadership Team, and the Council of Elders in your prayers as Metropolitan Community Churches moves forward to the denomination’s next chapter. Send your congratulations to Rev. Brown at [email protected].